Are you a sunrise or a sunset kind of person? 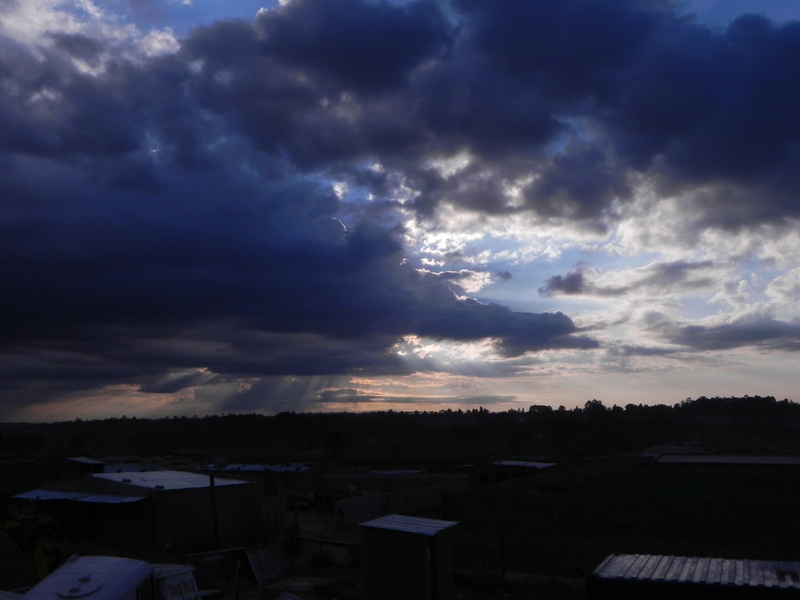 I have a funny feeling I may have gone on, once or twice, about how unbelievably amazing African skies are! Now I think people are either sunrise or sunset folk. In my youth (yes I know, those many moons ago!) I only ever saw the sunrise if I hadn’t been to bed. Nowadays oh how times have changed and the only 9 o’clock I am awake for is the one first thing in the morning. But if there is one thing which makes it worthwhile getting out of bed at first light is to see an African dawn. I am 100% a sunrise person and my favourite of favourite times of day for the African sky at its best is 6am, just as the sun is rising. Each morning I arrive first to my office compound and so am the one to switch on the huge generator which powers our numerous computers, printers, welding machines, battery chargers, not to mention the kettle for my morning coffee! My compound is on a bit of a hill and the generator is way down at the bottom. 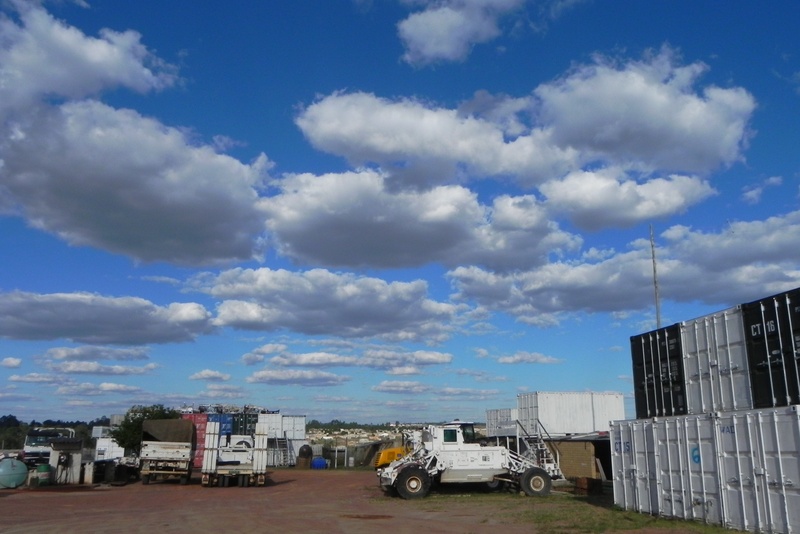 I relish my little bit of ‘quiet time’ before the troops arrive as I wander down to the generator taking in the morning sky – each day I stand in the same spot waiting for the generator kick in and stare at the same patch of sky and each day the morning sky is completely different. 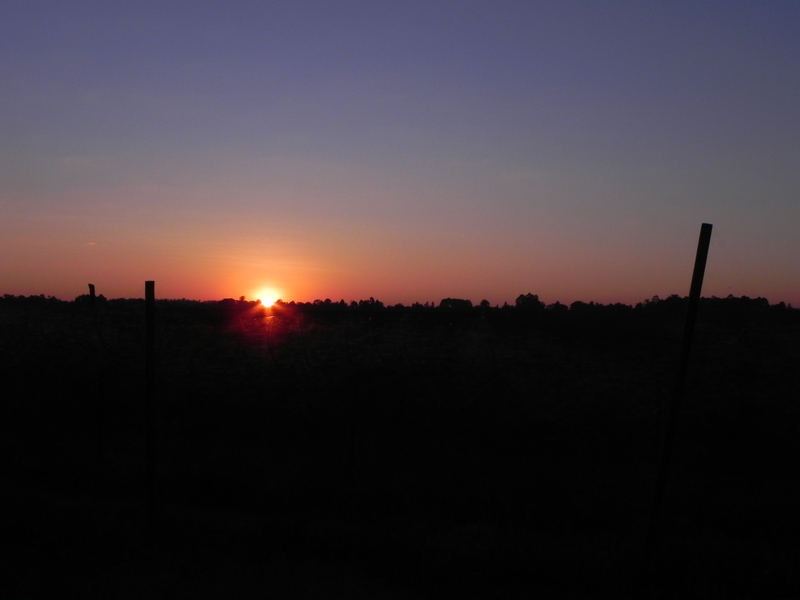 Some days I arrive as the sun is rising and watch the huge red ball slowly climb above the horizon. Other days I arrive just after dawn as the sun has risen and is starting to break through the clouds. Other days I am late (!) and end up staring transfixed to the fluffy clouds which hang suspended in the sky, not moving an inch. The sky looks like the set of the Truman show. I just wish I was a better photographer to be able to show you just how incredible they are. These pictures don’t do them justice!